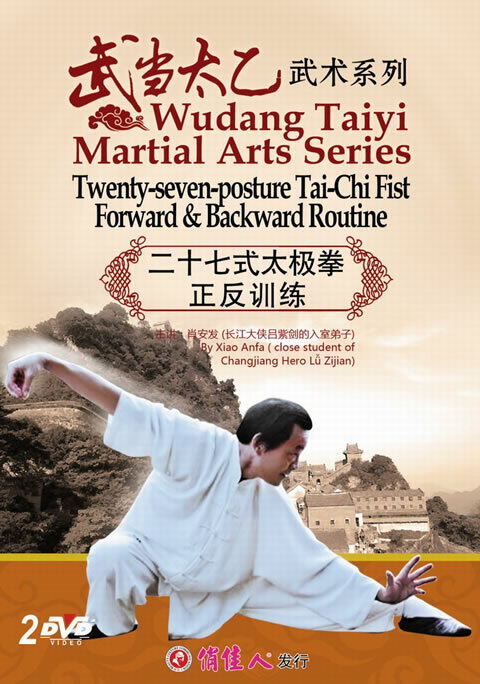 The twenty-seven-posture Tai-Chi of forward & backward routine comes from my five decades of experience in teaching Tai-Chi, According to the main construction and movement theory of regulated routines of national Tai-Chi, it is adapted by inheriting, developing and creating the original one. The Tai-Chi book left by our ancestors is a precious clue for us to study Tai-Chi, After practicing the twenty-seven-posture Tai-Chi, giving a massage to the whole body can loosen the flesh and stretch the ligament and smoothen the joints. It can also dredge the main meridian vessel and make Qi and blood run smoothly.